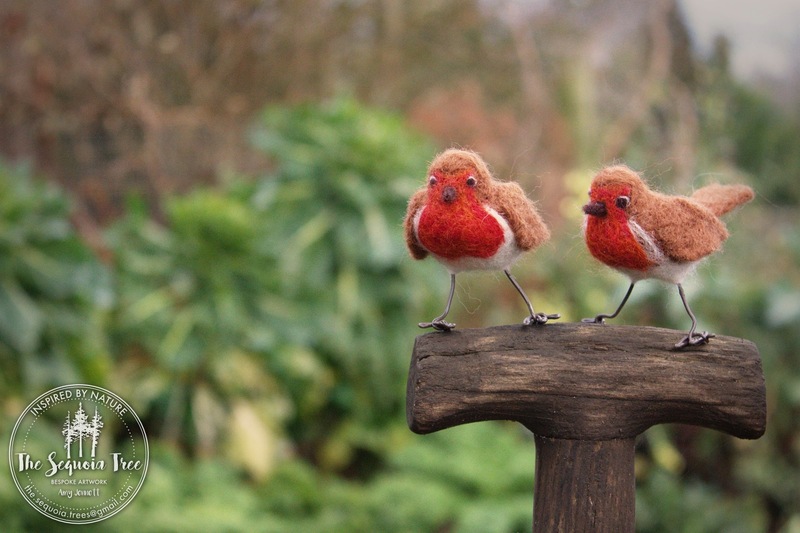 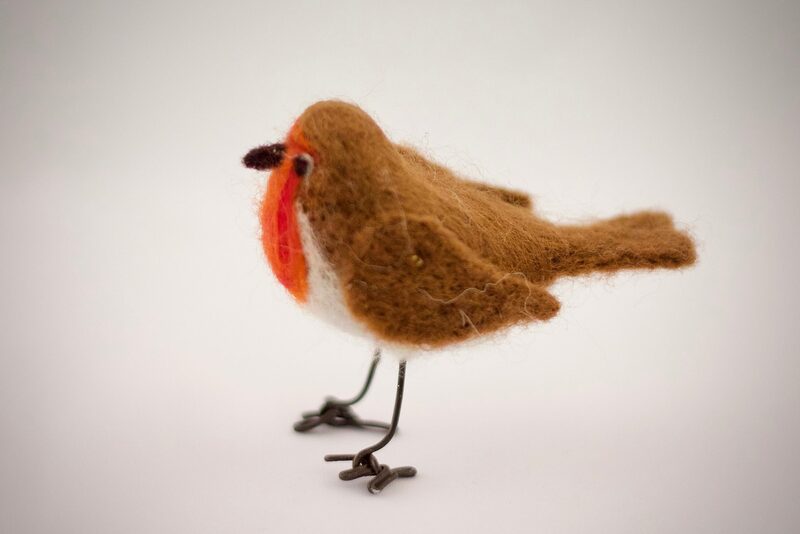 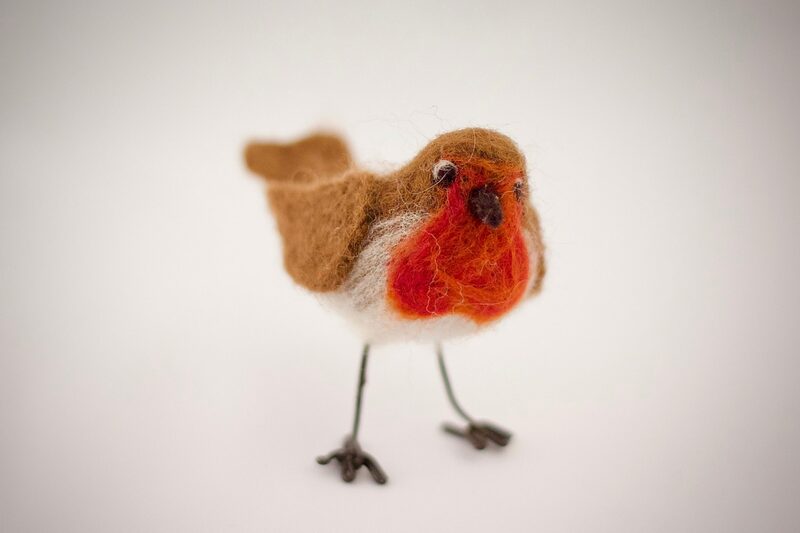 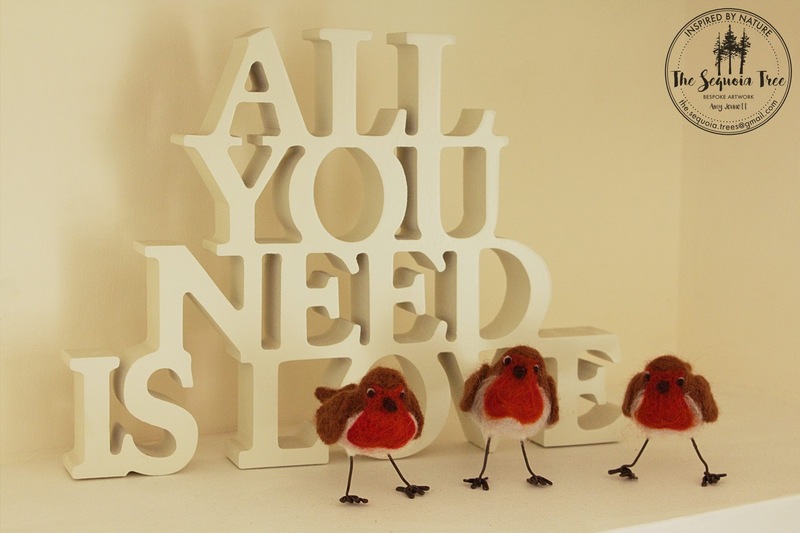 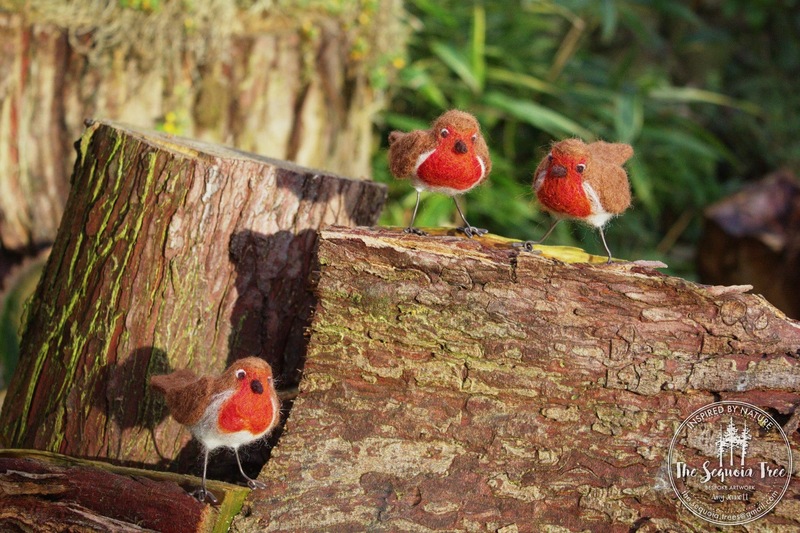 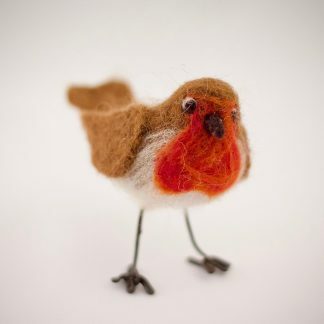 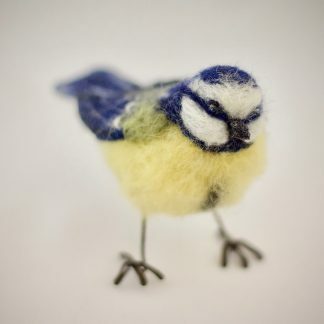 Handmade original needle felted robin sculpture. 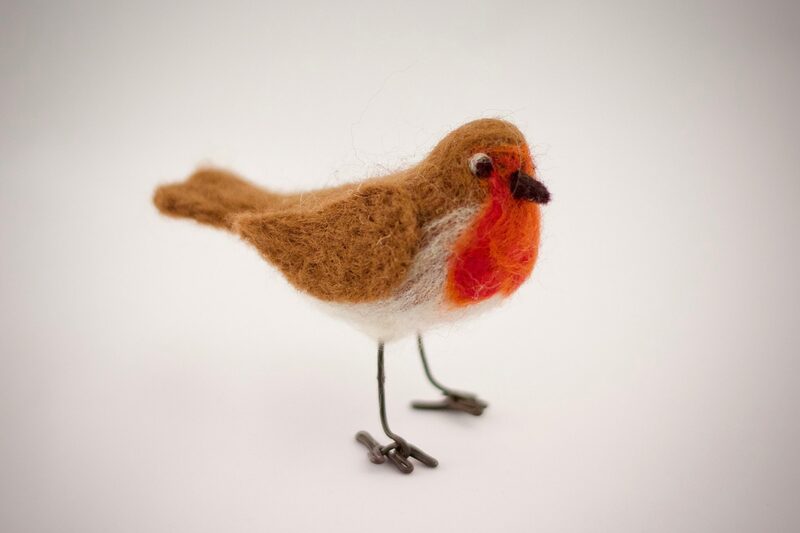 This original cheeky chappie stands at 6.5 cm tall and measures 9cm from beak to tail. 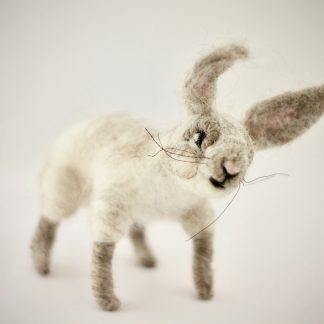 He is freestanding and his body is moulded from 100% needle felted wool fibres. 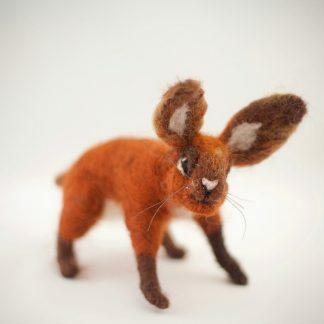 His legs are made from wire which are fully posable.